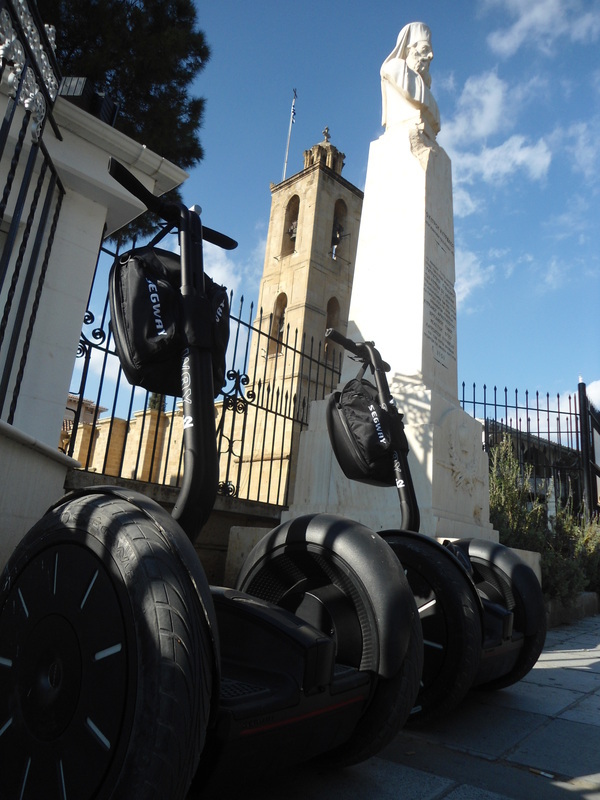 Segway Station was set up to bring the Segway tour experience to Nicosia. It is located at the corner of Aeschylou Street in the Old Town and a small, quaint walking street which includes a coffee shop, a bar and various craft shops. At Segway Station you can find a relaxing cafe/lounge area where you can chill out before and after your tour. It also includes free WiFi, for those of you who cannot wait to upload your photos on your Facebook account, and Tweet about the day’s events. Segway Station has been featured in the media several times; check out our reviews here. Nicosia is a city rich in culture and history, where the past lives side by side with the present. It is the largest city and capital of Cyprus, divided between the occupied North and the free part in the South. The area has been inhabited for the last four a half millennia, since the Bronze Age in 2500BC. Known as the Kingdom of Ledra from around the 7th century BC, it became increasingly more important after Arab raids on coastal towns in the 6th century AD forced people to move inland, and gradually became the administrative base of Cyprus by around the 10th century AD. Over the centuries it has been known by various names, including Lefkothea, Lefkousia and Ledri. It has been occupied by various peoples including the Byzantines, the British, the Templars, the Lusignans, the Romans and the Ottomans. 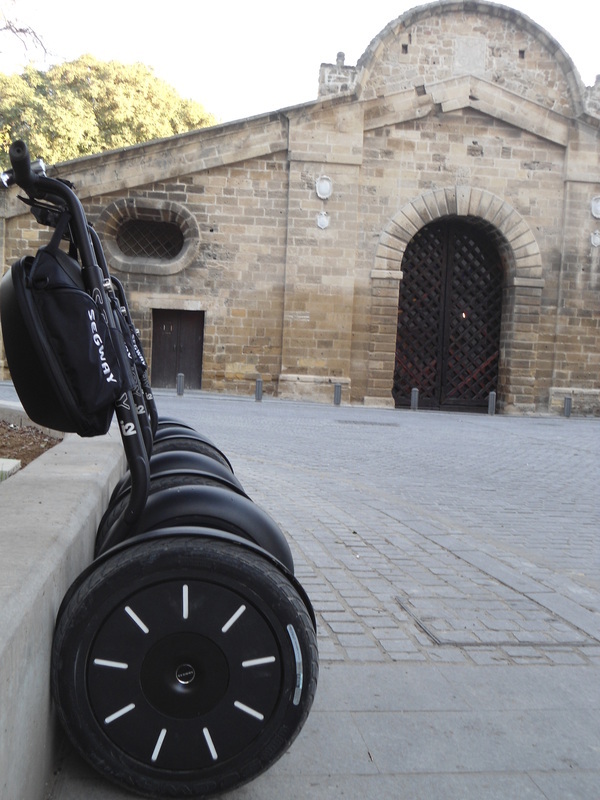 Now you can see Nicosia's Old Town, in all its historical glory, effortlessly while gliding on a Segway. On your Segway Tour we will show you Old Nicosia as you have never seen it before. Magnificent architecture, traditional alleys and workshops, the haunting green line, and nooks and crannies known only to locals. We will look at Old Nicosia while riding the Segways, which are zero-emission, environmentally friendly, noiseless electric personal transporters that enable you to take in over 2 hours, sights that could otherwise take one or two days to see, under the hot sun. Tours cost €48 per person for 3 hours and €38 per person for 2 hours. The 3 hour tour can be booked online. For the 2 hour tour, please email or call us to reserve your place. Each tour lasts for 3 hours, and follows a route in Old Nicosia that takes us past important sights such as the Phaneromeni Church, Ledra Checkpoint on the green line, the Town Hall, Laiki Yitonia (traditional neighbourhood), Ayios Savvas Church, Hamam Omerye (Turkish baths), the Archbishop’s Palace, the ancient Venetian walls, Liberty Monument, Famagusta Gate, the House of Hadjigeorgakis Kornesios, Chrysaliniotissa Church, and other historical buildings and scenic streets along the way. We will be making brief stops at a few of these areas to allow for deeper appreciation of the sights, as well as photo opportunities. We are closed on Sundays, unless we have a pre-booking of minimum 4 people, 48 hours in advance. Please email or call us to arrange if you'd like to have a Sunday tour. The evening tours offer a very different view of the city; a nostalgic glimpse of Old Nicosia in a golden, bronze-coloured light, caressed by the evening cool breeze that Nicosia is known for. During the evening tours we not only see many of the above sights, but also pass by some of the coolest taverns, bars and cafes hidden in the narrow street of Old Nicosia, that most visitors to the capital never get to experience (or know about). 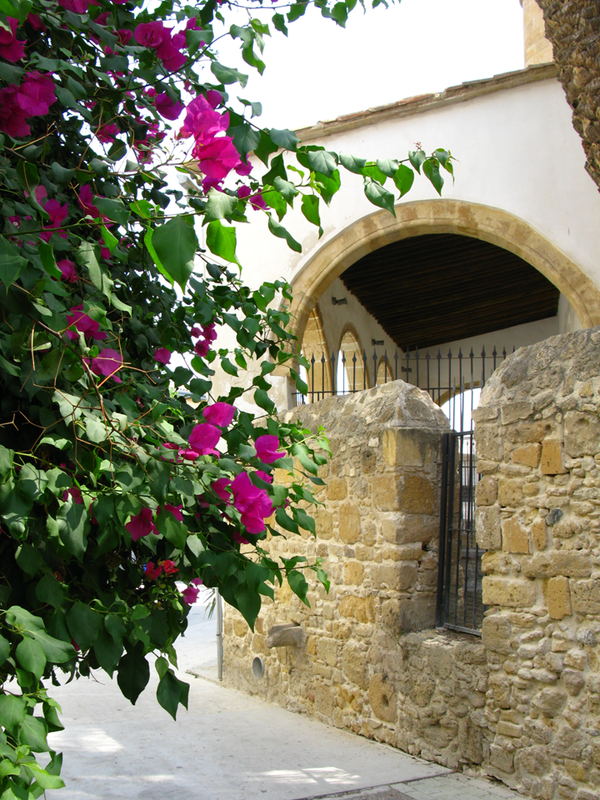 The Historical tour is a shorter, 2 hour tour focused on sights of historical interest in the older part of Nicosia. While the 3 hour, Cultural tour includes a refreshment and snack break in the middle, the 2 hour tour does not. The Archbishops might have lived and travelled in comfort, but a Segway is more fun! The Palace was built by Archbishop Makarios the third, and is a testament to the struggle for independence. Here we will see one of the finest relics of ancient urban architecture, which survived the Ottoman Empire. This building is a true testament to the city’s ancient grandeur. This checkpoint is an outcome of the Turkish invasion of Cyprus on 20 July 1974. Prior to the opening of the checkpoint there was a barricade running through the street, converted to a checkpoint in April 2008, which then became the sixth crossing which connects the 2 sides. The street gets its name from the ancient city-kingdom of Ledra. A quick dash on our Segways will bring us to the magnificent churches of Panayia Phaneromenis and Agios Savvas. Inside Agios Savvas there is an icon of the Angel Gabriel, holding a sword with a river running behind him. The legend behind this icon is that Angel Gabriel brought his sword down onto the earth and created a huge earthquake which made a river flow around the city. This river drowned the thousands of heretics who wanted to attack and plunder the city. We will see that whereas originally this street was only for doctors, it slowly began to include other well-off people such as lawyers and captains of industry. While cruising on your Segway, you will discover that this quaint street has much to show and even more to tell you, such as building dates that give clues to the city’s age and resources. Eleftheria Square (Freedom Square) intersects all the main shopping streets of Nicosia, such as Ledra and Onassagorou. These walking streets boast an array of shops and cafes, frequented by people from all walks of life including youth, businessmen, vendors, visitors and models. We will glide on our Segways from the checkpoint to the Town Hall, located on the edge of the medieval city’s Venetian walls. Sometimes the traditional way of doing things is best. The Hamam was built in 1570 and is still in use today, as is Omeriye Mosque. It’s a great place for relaxation and in 2006 it received the Europa Nostra prize for the Conservation of Architectural Heritage. The museum is situated at the Old Electric House building, but it looks brand new. Some of the finest contemporary art comes to life as you ride your own technological marvel. This secluded square is a hub of fresh food, and creative genius welcoming people from all across the city. Here we can appreciate the Mediterranean way of life, smell the lavender and stroll inside the glass workshop. This beautiful church is the most recent of the old churches, and is the latest to be restored. It is quietly tucked away inside the Old Town, and loves to be discovered. We will park our Segways outside while we take in its splendour. This is the largest of all the city’s gates. It was built in 1567 by the Venetians, and served travellers entering and leaving the city from the east. It now plays host to art exhibitions and events. The Liberty monument was erected in 1973 to commemorate the release of freedom fighters in 1959. It stands next to the Venetian Walls and an ancient aquaduct, in an area offering ideal photo opportunities. During the tour we will pass by all kinds of bars, cafes, clubs, taverns, and social spots. While nipping through the city, you will be sure to find one that suits your taste. This trip around Old Nicosia is usually exhausting by foot, but by Segway it is a breeze. Gift the Segway smile to your friends and loved ones. 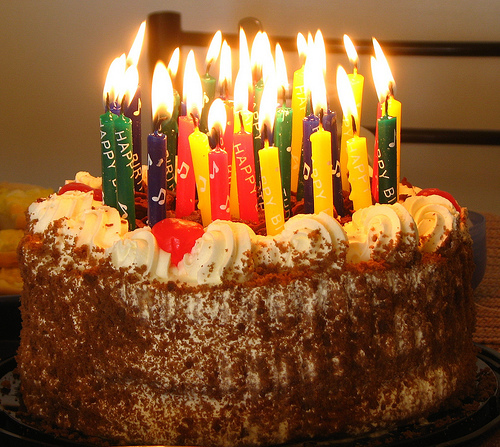 You can buy vouchers for any number of people, please call us for a group discount. 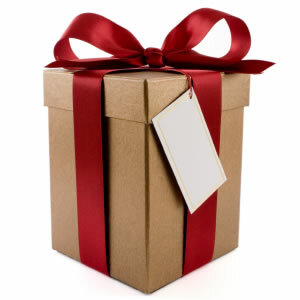 We can send the vouchers to you in soft copy and bearing a unique serial number.